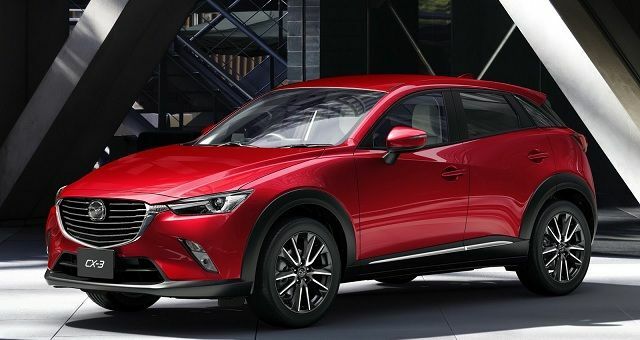 Unveiled at the 2016 Los Angeles Auto International Auto Show, the 2017 Mazda CX-3 has now arrived in Lachine, and it has quickly attracted quite a bit of praise from the automotive press. It has been notably named Canadian Utility Vehicle of the Year by the Automobile Journalists Association of Canada earlier this year, in addition to being named Best Safety Pick + by the IIHS. If the 2017 Mazda CX-3 is so popular with consumers and automotive journalists alike, it’s in part because it offers several features that buyers in the greater metropolitan region are seeking, including impressive fuel economy numbers. Indeed, the 2017 Mazda CX-3 has an average fuel consumption rating of 8.2 liters per 100 kilometers in the city and 6.9 liters per 100 kilometers on the highway in front-wheel drive guise. Models equipped with the advanced i-ACTIV all-wheel drive system have an average fuel consumption rating of 8.8 liters per 100 kilometers in the city and 7.5 liters per 100 kilometers on the highway. Despite its efficiency, the 2017 Mazda CX-3’s engine has no shortage of power either. Indeed, the four-cylinder 2.0-liter SKYACTIV-G develops 146 horsepower and 146 lb-ft of torque. Power is transmitted to the wheels through a six-speed automatic gearbox which combines the best features of a continuously variable transmission and a dual-clutch transmission. In terms of interior space, the Mazda CX-3 offers 452 liters of cargo space with all seats in place and 1,528 liters with the rear seats lowered. On the road, the 2017 Mazda CX-3 is considered one of the nicest and most enjoyable sub-compact SUVs to drive. Precise steering and sharp handling makes it a perfect vehicle for those who want to have fun every day while still having enough space for family and luggage. Discover the 2017 Mazda CX-3 at Spinelli Mazda in Lachine today!